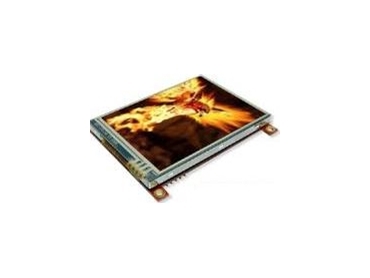 4D Systems, available through Glyn High-Tech Distribution , introduce the µLCD-32032-P1T, a 3.2" size, cost effective all in one Smart display module, using LCD TFT technology with an embedded PICASO-GFX graphics controller that delivers stand-alone functionality to any project. The easy to learn and use 4D Graphics Language (4DGL) with its vast built in library functions will allow rapid application development. 4DGL is a graphics oriented programming language that enables the developer to write applications in a high level syntax similar to languages such as BASIC, C, Pascal and run it directly on the PICASO-GFX processor embedded in the µLCD-3202X-P1T module. 4DGL allows the user to take complete control of all available resources on the hardware platform such as the Serial Port, Graphics AMOLED Display, µSD memory card and I/O pins. This eliminates the need for an external host controller/processor to drive the µLCD-3202X-P1T module via serial commands. It provides the user complete control over the hardware module, while allowing them to quickly develop powerful applications. Onboard micro-SD (μSD) memory card adaptor with full FAT16 file support for storing and executing 4DGL programs, files, icons, images, animations, video clips and audio wave files.